No one wants to swelter through a hot summer. Whether you’re thinking about having a cooling system installed for the first time or having an old outdated system replaced, Rowell’s Services can help. We offer professional A/C system installation services throughout New Hampshire, and we would be more than happy to help you and your family stay cool no matter how high the mercury rises. When you’re in the market for a new air conditioner, choosing the right one is essential. There are several factors that need to be taken into consideration, including type, size, energy efficiency and more. The size, however, is one of the most important considerations. 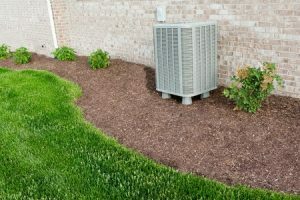 Installing an air conditioner that’s too small means that it won’t be capable of adequately cooling your home. It will be forced to work harder than normal and will drive up your energy bills. An A/C that’s too large is just as problematic, though. When a system is too big, it cools the space too rapidly and cycles off and on frequently. This also drives up your electric bill and puts additional strain on the system. Whether you’re having an old system replaced or having a new air conditioner installed for the first time, it’s important to leave the job to the professionals. A/C installation is a highly specialized project, and doing it right is beyond the reach of most do-it-yourselfers. At Rowell’s Services, we are here to help. From helping you choose a system that is perfectly sized for your home to install it to the highest quality standards, we will help you through every step of the process. Don’t try to sweat through another summer without air conditioning. For expert A/C system installation, contact us today. Call 603-934-4145.